The Voyager Handlebar Bag is a universal fit bag that can mount just about anywhere, but finds itself at home on most T-Bar handlebar setups. Offered in Dark Oak Wet Waxed UV treated cotton canvas or Black Cordura that will age and show character over time. Two exterior zipper pockets with generous interior space and elastic pockets feature YKK zippers, secured with an “Anti-Flail Snap System” to keep everything in the bag secure. 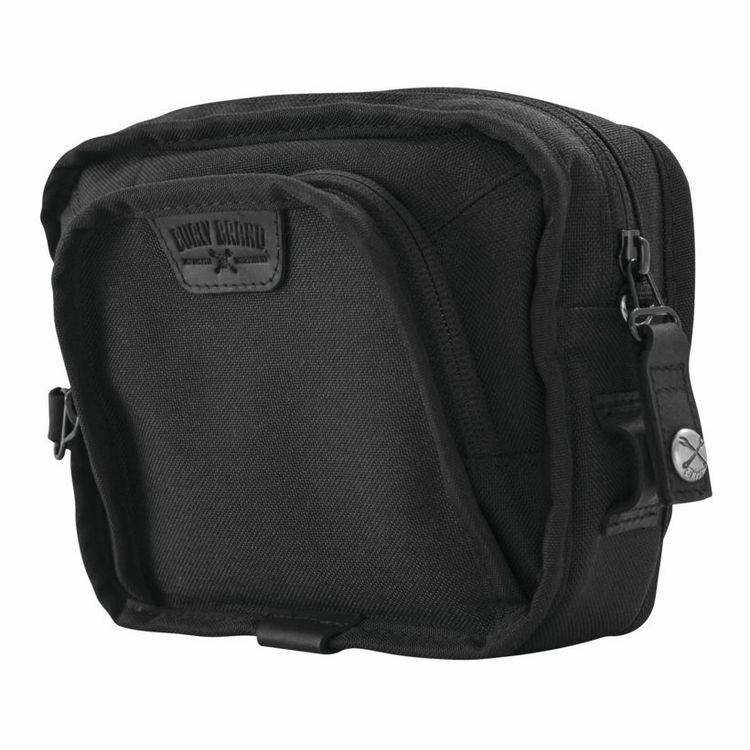 It mounts via 4 VELCRO® brand closure securing straps and MOLLE system. Note: Dark Oak color may vary slightly.